Thank you for visiting our Celebration Registry! Your generous gifts will ensure that our anniversary vacation in paradise will be unforgettable! A Hawaiian getaway at Moana Surfrider will be an unforgettable experience! This soothing sanctuary boasts tropical charms and exotic luxuries, sumptuous accommodations, tantalizing cuisine, an array of thrilling activities and a place of peace and calm in the spa. Exploring the enchantment and mesmerizing beauty of the islands on this Hawaiian holiday will be a wonderful gift! With your lovely gift, the trip of a lifetime will be experienced at Moana Surfrider! Here, the true essence of the islands will be discovered with lush natural beauty, pristine beaches, sparkling waters and the welcoming spirit of "Aloha". Moana Surfrider boasts enchanting accommodations, world-class restaurants, thrilling activities and a world of tranquil bliss in the spa. A stay at Moana Surfrider will be an exceptional island getaway that is just as alluring as it is mesmerizing! With your lovely gift, it will be time to indulge in the sweet flavors of Hawaii on this Hawaiian getaway! A colorful Hawaiian fruit display will be delivered to the room where it will be time to delight the palate with a spectacular medley of fresh, tropical fruits! At the Moana Surfrider, the Superfoods Amenity will be delivered to the room! Admire the stunning views of Waikiki Beach while enjoying milk chocolate with marshmallows, macadamia nuts, candied pecans and fresh blueberries. This will give the body the energy for another exciting day in Oahu! Toast to the Hawaiian getaway at the Moana Surfrider! Dom Perignon Champagne boasts a spiral of aromas, blending hints of angelica, dried flowers, pineapple, coconut, cinnamon, cocoa and tobacco. A bottle of Dom Perignon Champagne will be delivered to the room, and will be thoroughly enjoyed! The Moana Surfrider offers a delightful indulgence! A box of chocolate macadamia nuts will be delivered to the room. Enjoy the sweet, rich flavors of these chocolate confectionaries while enjoying stunning views of the lush surroundings! At the Moana Surfrider, enjoy a sumptuous treat from the comfort of the room! A platter of fresh, succulent strawberries covered in rich, exotic milk chocolate will be delivered to the room for the ultimate indulgence in paradise! A Lomi Lomi Ola Massage on this island getaway is a wonderful gift. In the soothing settings of the spa long, rhythmic strokes incorporated with fragrant essential oils will awaken the senses and relax the body. The Lomi Lomi Ola massage will ease muscle tension and stimulate blood circulation to promote a healthy state of mind! Thanks to your lovely gift, it will be time to take delight in the Rollerssage at the Moana Surfrider! In the tranquil settings of Moana Lani Spa, receive this lavish massage that uses heated, semi-precious crystals to achieve a deep relaxation. As these crystals are rolled over the back, experience a peaceful sense of well-being! The Heavenly Classic Massage is the perfect gift for this Hawaiian escape at the Moana Surfrider! In the peaceful surroundings of the Moana Lani Spa, a heated compress will soothe the back muscles to relax and ease tension. The grand finale is a massage with the choice of fragrant and organic island massage oils, leaving the mind, body and soul in a pure state of bliss! At the Moana Surfrider, receive the Mana'Olana Hope package on this Hawaiian getaway! In the peaceful settings of Moana Lani Spa, take delight in the Heavenly Classic Massage and a Heavenly Body Moisture Wrap to awaken the senses and calm the mind! In Moana Lani Spa, this lavish spa treat will start with a Heavenly Classic Massage, followed by an enticing exotic Hawaii Clay and Vanilla Ritual for the body, face and feet. Thanks to your thoughtful gift, skin will be glowing and radiant while feeling as fresh and fragrant as the islands! Experience a once-in-a-lifetime adventure at Sea Life Park with the dolphin program! Witness the dolphins' playful and friendly personalities while touching, feeding, and communicating with them through hand signals. While learning about these graceful ocean mammals, enjoy a complimentary souvenir logo towel, reusable souvenir cup with unlimited soft drink refills and an exclusive wristband for access to "Reserved Preferred Seating" at dolphin shows. Swimming among coral reefs and the various creatures of this enchanting cove, Hanauma Bay supplies snorkeling equipment and instructions to make this a truly enjoyable experience. 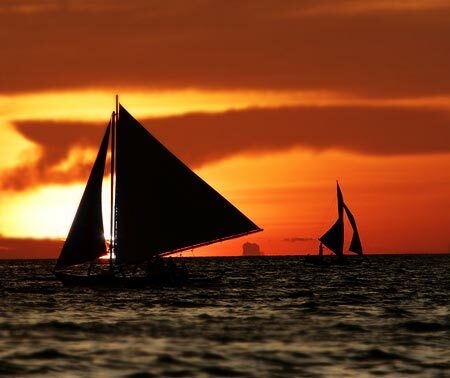 This tropical retreat at the Moana Surfrider will be enhanced with a delightful cruise aboard the Navatek I Sunset! Board this vessel and cruise along the breathtaking coastline of Oahu on the Pacific Ocean. Traveling beyond Diamond Head to the Kahala Coast, Hawaii Kai and Koko Head, tantalize the palate with a delicious five course steak and lobster dinner. While indulging in cocktails and enjoying the soothing rhythms of Hawaiian entertainers, admire the sun setting below the sparkling water's horizon! The Moana Surfrider boasts the Royal Hawaiian Luau, an epicurean journey through Hawaii's rich, ancient history! Learn about the cultural significance of this island paradise and celebrate with the traditions of tantalizing food and the rhythms of song, dance and the vibrant Hawaiian culture! Embark on a sunset dinner cruise on this Hawaiian getaway in paradise! Board the cruise and enjoy a glass Champagne waiting on the top deck before indulging in a seven course French style dinner. While a pianist serenades the evening, take delight in cocktails, admire the Hawaiian sun setting below the sparkling water's horizon and end the night with some dancing to live jazz! This opportunity to meet and interact with one of the ocean’s most beautiful creatures would be a once in a lifetime experience that would only enhance this Hawaiian oasis. Created in partnership with world-class marine center Sea Life Park, this program presents the chance to learn about, touch, feed and communicate through hand signals with these extraordinary ocean mammals. This excursion presents the rare opportunity to explore American history up close and personal. Experiencing the authentic Pearl Harbor in-person is a once in a lifetime chance! Discovering the “real” Hawaiian culture and hidden secrets is the only way to explore the Island of Oahu. This experience presents panoramic views from the wind-blown Pali Look-Out atop the Koolau Mountain range, the Dole Plantation Pineapple fields and North Shore’s surfing beaches. This tour truly appreciates all aspects of this mesmerizing island. This snorkeling tour adventure includes encounters with wild Spinner dolphins, coral reefs, colorful reef fish, and even green sea turtles! This will be an unforgettable experience of watching nature unfold like never before. The amazing Maitai Catamarn is an ocean adventure, sight-seeing tour and party all in one. While sailing along the crystal clear blue waters, it will be time to watch for exotic sea creatures. While holding a refreshing beverage in hand, this state-of-the-art catamaran offers a great way to experience Waikiki! Exploring the magical waters in utter style while enjoying exotic cuisine aboard Hawaii’s premier cruise ship would be the perfect ending to a long, exciting day on the island. There is no better way to see Oahu’s hidden waterfalls and spectacular topography than from the air-conditioned comfort of an A-Star jet helicopter. What a great way to start or end an amazing day! 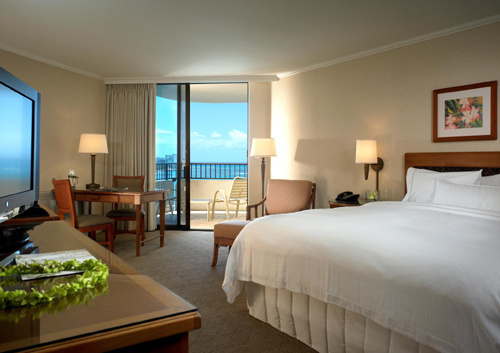 The Moana Surfrider offers a wonderful experience in the Vibrant Waikiki View Room! This charming room is beautifully designed with traditional Hawaiian decor, tropical hardwoods, fine furnishings and a refreshing color scheme of rich creams and crisp whites. This tropical retreat boasts a king size 'Heavenly Bed' with luscious bedding, extravagant amenities in the bathroom and spectacular views of the stunning Waikiki Beach from the room! 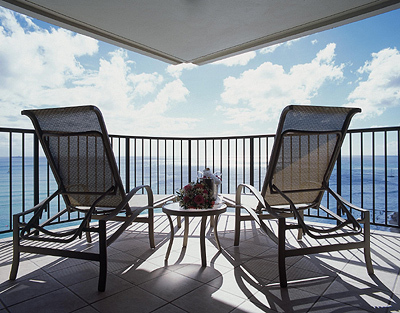 Indulge in the charming settings of the Tower Partial Ocean View Room! This hideaway is decorated with traditional Hawaiian decor, exotic hardwood accents, fine furnishings and a palette of rich creams. The Tower Partial Ocean View Room offers a king size 'Heavenly Bed' with luscious linen bedding, lavish amenities in the bathroom and a private lanai with views of the pristine beach and sparkling waters of the Pacific Ocean! Discover the simple luxuries of paradise! The Banyan Classic Ocean Room is beautifully designed with traditional Hawaiian decor, dark hardwood accents, fine furnishings and a light palette of whites and creams. This Hawaiian haven offers a king size 'Heavenly Bed' with lavish linens, luscious bathroom amenities and spectacular views of Waikiki Beach from the room! Take delight in the enchanted surroundings of the Diamond Deluxe Ocean Room! The Diamond Deluxe Ocean Room is designed with a refreshing palette of whites, creams, Hawaiian decor and tropical hardwoods. This hideaway features fine furnishings, a king size 'Heavenly Bed' with luscious linen bedding, beautiful bathroom amenities and a lanai with breathtaking vistas of the soft sand beach and the alluring Pacific Ocean! The Tower Premier Ocean Room offers a memorable experience in its captivating surroundings! This room is designed with accents of fresh whites, creams, tropical hardwoods and traditional Hawaiian decor. This charming room promises fine furnishings, a king size 'Heavenly Bed' with plush bedding, luxurious bathroom amenities and a private lanai with astounding views of the shimmering Pacific Ocean! At the Moana Surfrider, indulge in the luxurious surroundings of this suite! The suite is beautifully designed with traditional Hawaiian decor, deep tropical hardwoods and a palette of rich creams and bright whites. This suite boasts select furnishings, a king size 'Heavenly Bed' with luscious linen bedding, lavish amenities in the elegant bathroom and a private lanai with a seating area and tremendous views of the Pacific Ocean! 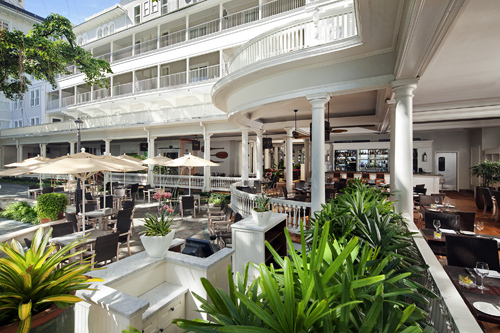 Dine at The Veranda on this Hawaiian getaway at the Moana Surfrider! In the elegant settings of the classic Victorian architecture at The Veranda, dine here for breakfast, lunch or afternoon tea. 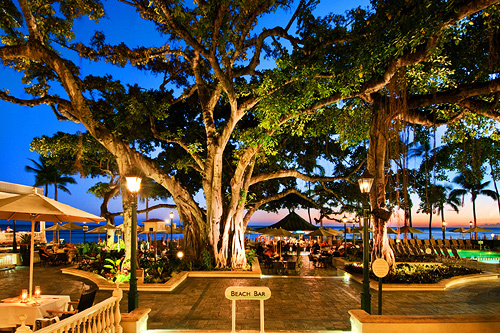 While enjoying splendid cuisine under the shade of a banyan tree, be serenaded by the sound of the calm waves lapping on the shores of Waikiki Beach. This will be an unforgettable dining experience! 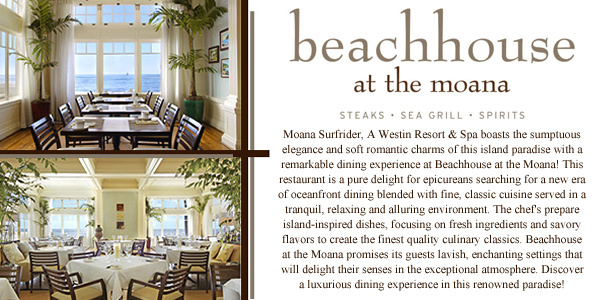 Discover an epicurean delight in the elegant settings of Beachhouse at the Moana! This vibrant, island-inspired restaurant boasts impeccable service, tantalizing culinary classics, an international wine list and decadent desserts. While dining amidst the backdrop of the Moana Surfrider's Victorian architecture, enjoy charming surroundings in one of the two semi-private dining rooms or outside on the veranda with gorgeous views! This Hawaiian escape at the Moana Surfrider will be enhanced with a delightful dining experience at The Banyan Courtyard! As the Hawaiian sun sets below the horizon, enjoy the soothing sounds of a steel guitar trio while Hawaiian hula dancers move to the music's soft rhythms. The Banyan Courtyard serves up indulgent drinks, tropical concoctions, classic cocktails and tantalizing appetizers for an enchanting island experience! 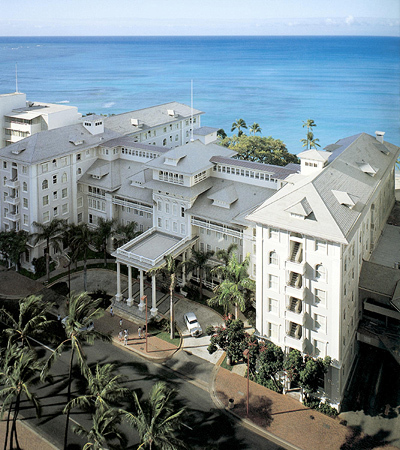 The Moana Surfrider promises a relaxing and exotic experience on our Hawaiian getaway! While lounging on the pristine Waikiki Beach, indulge in tropical cocktails and savor the flavors of grilled appetizers. Discover the welcoming charms of Oahu at the Beach Bar! It will be so exciting to watch the magical journey of Polynesia’s history played out by Hawaii’s premier entertainers, lavish costumes and spellbinding drama, all while enjoying an extravagant dinner and delicious cocktails.